Are you tired of carrying excess weight? Fed up with not being able to walk far or keep up with the kids? Do you just want to “down size”? Weight loss can be very frustrating for a lot of people and even more so in our carbohydrate loaded, fat smothered, sugar induced world that we live. People overeat for a variety of reasons; boredom and self-reward are just a couple. Some eat too much for the amount of energy they burn or just can’t seem to make wise food decisions. Some “emotional eat” while others graze. Some people eat more of one type of food than another not realising the effect on their weight and others eat in a manner that has become engrained from their childhood or from an activity of their childhood. Some just can’t resist temptation. Whatever the reason, it is not unusual that many of us have tried lots of diets, made New Year’s commitments to lose weight only to give up a few days or weeks later. I understand the challenges that relate to losing weight and have personal experience in the whole weight loss saga. It is these life experiences that make me passionate about helping people to achieve their own weight loss goals and assist them in making a lifestyle change. I’m not going to ask you never to eat chocolate again (although you can if you want), a lifestyle change involves making smarter decisions about what you eat and how you burn your energy. 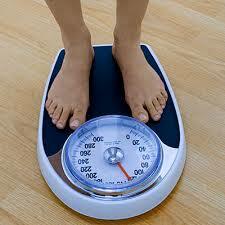 Weight loss with Hypno Gastric Band offers a safe, painless method for assisting weight loss. Utilising the power of the unconscious mind you are able to acknowledge healthy changes that will support your weight loss, acknowledge the events that have created poor food choices and with the placement of a hypnotic gastric band you can experience the desire to eat less and feel full more quickly. Assistance in making your weight loss goal clear and measurable, fully understanding and acknowledging the reasons of why it is you want to lose weight. Application of your hypno gastric band. Personal recordings of your hypnosis so you can listen to it in between appointments. Optional simple exercise programme to get you started. Is there a food that is really stalling your weight loss attempts? Something you like and wish you did not? Let me know, I can help with that also.